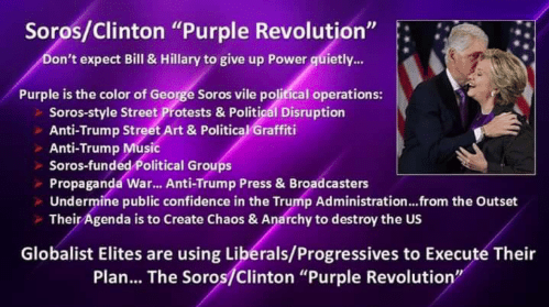 According to this report, unlike nearly the rest of the entire world, who are long familiar with the propaganda and tactics employed by Hillary Clinton puppetmaster George Soros to ferment “colour revolutions” to overthrow legitimately elected governments, the American people are the least prepared to endure the bloody chaos soon to be unleashed upon them—nearly all of whom have been rendered into docile imbeciles by the over 30 major US news organizations funded by Soros in their nation, and the over 300 leftist organizations he has, likewise, funded, that shower pro-Hillary Clinton and anti-President Trump propaganda at them on a near hourly basis. Once a nation’s populace has been rendered into becoming docile imbeciles by the vast Soros propaganda machine like these Americans have, this report explains, the leftist tactic used to unleash full chaos upon a legitimate government targeted for destruction is a “cause célèbre”—which is the deployment of a controversial issue that attracts a great deal of public attention, and is able to throw thousands of protestors into the streets. So it was with the gravest alarm, this report details, when the SVR saw the unleashing of a Hillary Clinton “cause célèbre” during this past fortnight—and that began with the 15 December announcement that President Trump’s legal team would be holding a meeting with Special Counsel Robert Mueller—and that after this meeting occurred, saw Trump’s top lawyers, on 25 December, announcing that the parts of Special Counsel Mueller's probe involving Trump would end soon. 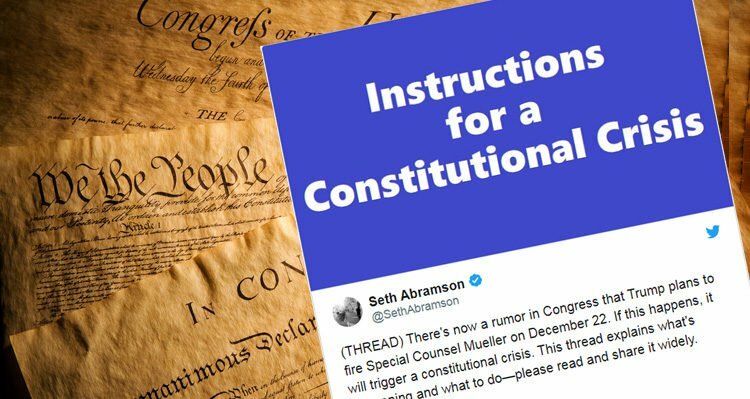 These issues of fact, though, this report continues, were deliberately kept from the American people by their mainstream propaganda media—with these docile imbeciles, instead, being avalanched by a non-stop barrage of news outrageously claiming that Trump was preparing to fire Special Counsel Mueller—and that this firing would provoke a constitutional crisis the United States would need its citizens to protect against. Note: Seth Abramson is the author of the secretive George Soros funded MFA Research Project. Use the map or search below by ZIP code to find an event near you, or create one if none exists. ◦This is the general plan—please confirm details on your event page, as individual hosts may tailor their events to their local plan. This is our moment to stand up to protect our democracy. 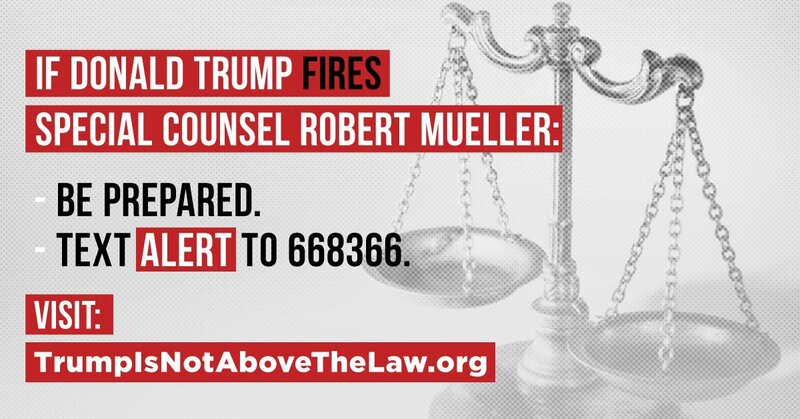 Let's mobilize to show that we won't let Donald Trump become the authoritarian that he aspires to be. To the fullest understanding of Hillary Clinton invoking this “cause célèbre” in order to organize (she hopes) tens-of-millions of her supporters to take to the streets of America against President Trump, however, this report explains, one most know that the first one invoked is never the one intended to ignite chaos and bloodshed—rather it’s the coming one that will signal the full rebellion against Trump is now taking place, but that the first one (TrumpIsNotAboveTheLaw.org) did the covert organizing and established the infrastructure for. And to that main “cause célèbre” Hillary Clinton will flood the streets of America with her imbecile protesters against, this report says, will be her soon to come indictment for the many crimes she has committed against her nation—but that will be framed by her as President Trump turning America into a fascist Nazi-like nation where all of his political opponents have to fear being imprisoned just because he doesn’t like them—and that the powerful Soros funded mainstream propaganda media will, undoubtedly, use, also, to whip these leftist lunatics into a fear driven frenzy about—but with none of them even knowing that this is the exact same “cause célèbre” tactic used by the Soros-supported Ukrainian oligarch criminal Yulia Tymoshenko—who unleashed upon her nation its “Orange Revolution” when she, too, was being closed in on for the many crimes she had committed. 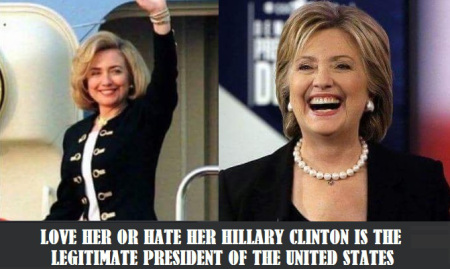 With the Security Council (SC), on 17 December, stunningly detailing how close President Trump is to taking down Hillary Clinton [see our report “America Warned Is Unprepared For Trump’s Cataclysmic Destruction Of “Deep State”], this report notes, SVR analysts have determined that her life is now being lived in total terror—most particularly due to the 13 December testimony of President Trump’s US Deputy Attorney General Rod Rosenstein before the House Judiciary Committee—and wherein he acknowledged for the first time that a “de novo” review of all past Clinton crimes she had been absolved of by the Obama regime was being conducted—meaning that all issues related to her within the FBI and Justice Department were being investigated without reference to any legal conclusion or assumptions previously made—and that Rosenstein warned could lead to further legal actions being taken against her. 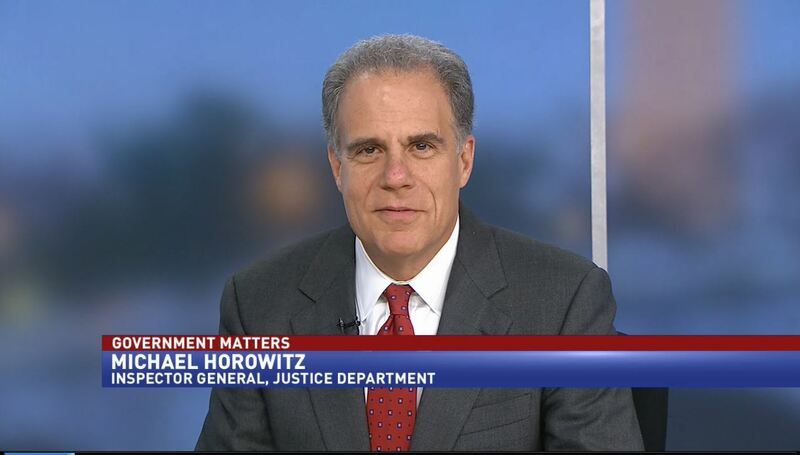 This man is Hillary Clinton’s worst nightmare come true. As to the timing of Hillary Clinton choosing to invoke her “cause célèbre” against President Trump now, this report explains, is due to the FBI leaking during the past fortnight that it had it began an investigation into FBME Bank—that the leftist London Guardian attempted to divert the true intention away from by their outrageous claim that this investigation “may be connected to inquiries into possible conspiracy between Trump and Kremlin”—and solely because this now defunct Tanzanian bank once had an office in Moscow. To the true purpose of this FBI investigation into FBME Bank, though, this report details, is due to it being so corrupt, even the Obama regime had to move to close it down in 2014—and was done so after it was discovered it had been stealing and laundering millions-of-dollars from President Obama’s $20 billion “Power Africa” fund being overseen by then Secretary of State Hillary Clinton’s United States Agency for International Development (USAID)—and that began, in 2011, when Secretary of State Clinton visited Tanzania to arrange “Power Africa” funding for the US power engineering and construction firm Symbion Power to deal with the Tanzanian energy crisis—but whose US taxpayer payment was funneled through FBME Bank with believed to be millions-of-dollars ending up in the bank account of a small and mysterious energy investment firm headquartered inside a Microsoft building in the Washington D.C. suburb of Chevy Chase, Maryland, named BlackIvy Group—whose CEO is top Hillary Clinton aide Cheryl Mills, and its co-founder, Jean-Louis Warnholz, being one of Clinton’s top advisors at the State Department, as well as his having worked for George Soros, too. 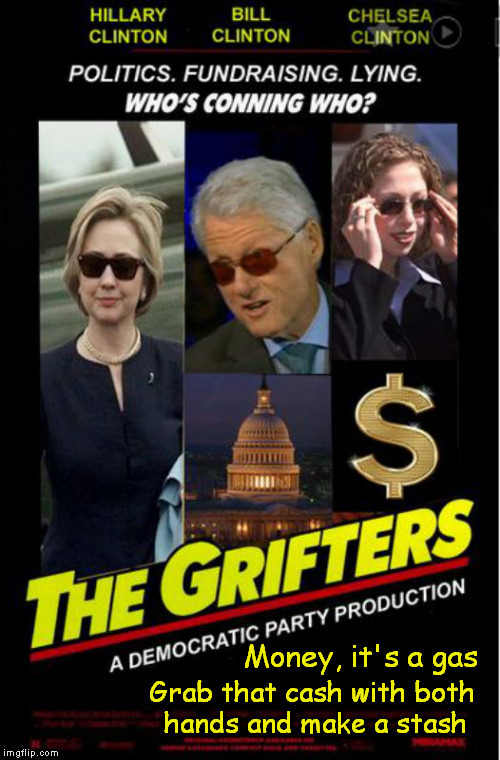 To how Hillary Clinton has been able to avoid prosecution for her staggering number of crimes over these past three decades, this report says, has been due to the high-level of complexity she’s employed in her criminal enterprises and schemes—and that she has done so in knowing that the masses of American people are unable and unwilling to deal with complex issues—and her, also, being aided by a vast US mainstream propaganda media establishment who treat these people like idiot children, too. In trying to destroy President Trump, though, with an equally convoluted scheme linking him to Russia, this report continues, Hillary Clinton has failed miserably—with the most fatal wound she’s ever received being delivered this past June by former FBI Director James Comey—who in testifying under oath before the US Congress, stated that the “Russian Dossier” created by Clinton’s allies was “salacious and unverified”. 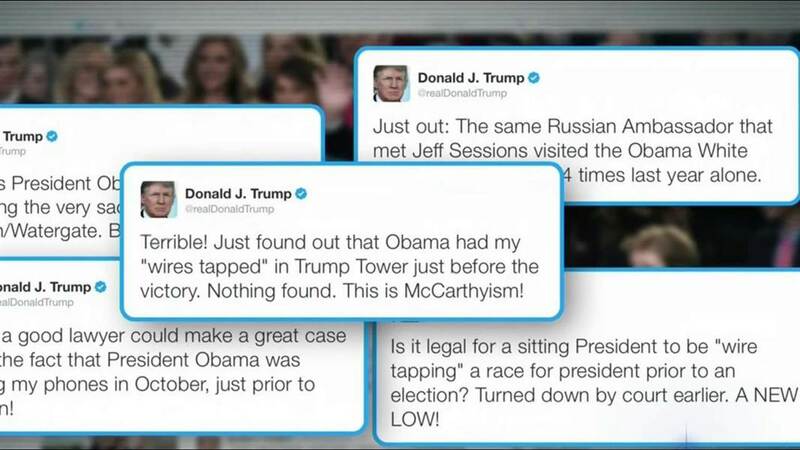 If a sitting president used the instruments of state, including the intelligence community, to disseminate and legitimize a piece of paid opposition research in order to first obtain warrants to spy on the other party’s campaign, and then to de-legitimize the results of an election once the other party’s candidate won, we’re looking at a scandal that dwarfs Watergate. In Hillary Clinton knowing that she’s received a fatal wound, this report concludes, her preparing to invoke a “cause célèbre” upon her indictment by falsely claiming that President Trump is illegally targeting her is the last move available for her to use—with her hoped for master plan being that tens-of-millions of her deluded leftists supporters, who are now arming themselves, will overrun hundreds of American cities taking control of them and proclaiming her the rightful President of the United States—but most of whom will be targeted by snipers (like those imported by Clinton into Ukraine) whose killings will provide “proof” that Trump is willing to murder his own people like a dictator—thus sending millions more of these idiots into the streets—with Clinton’s final hoped for goal being Trump thrown out office for being a Nazi tyrant—but, and most importantly, her failing to think about what’s going to occur when Trump calls his own supporters out into the streets to defend him—all of whom “have armed themselves to the teeth”—and with the most important thing to remember, is that all of these events contain the exact ingredients the “Purple Revolution” will be born from. December 26, 2017 © EU and US all rights reserved. Permission to use this report in its entirety is granted under the condition it is linked back to its original source at WhatDoesItMean.Com. Freebase content licensed under CC-BY and GFDL.